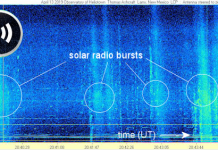 On August 1st, Kevin Palivec of Hawley, Texas recorded radio bursts from the M2-class solar explosion. 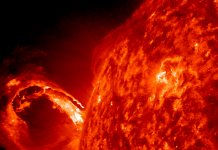 Listen to these strange solar radio bursts! 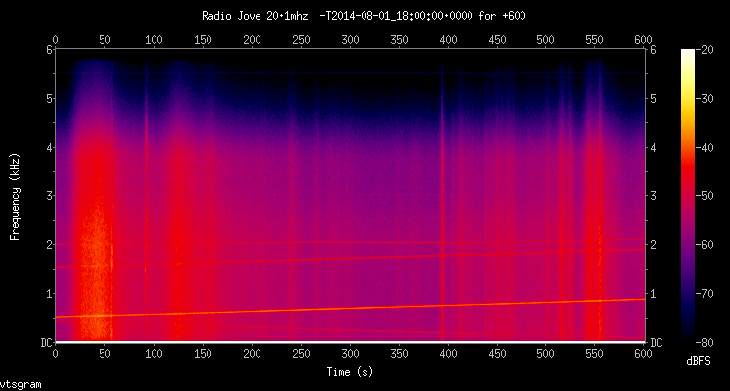 And if you want to record them from home, get your own receiver at NASA’s RadioJove. Are there more radio bursts to be recorded in the near future? Yes! 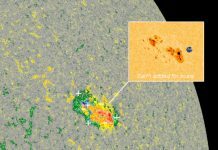 sunspot AR2127 and nearby sunspot AR2130 both crackle with M2-class solar flares.